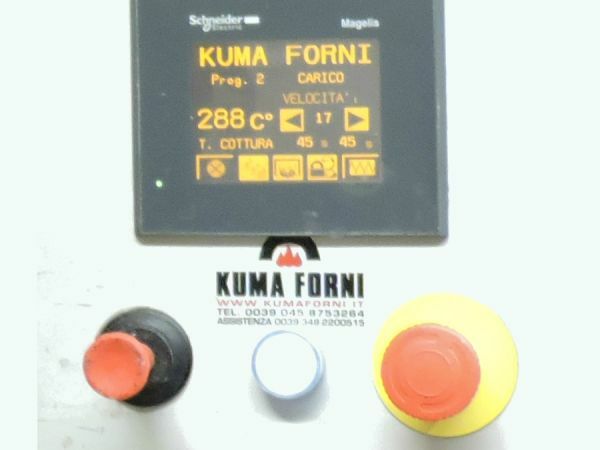 Kuma plus control panel, designed and developed by KUMA FORNI to meet all pizza chefs’ needs in an easy, fast and intuitive way, offers you the opportunity to select your language. It is a versatile software, which can also be upgraded by KUMA FORNI. 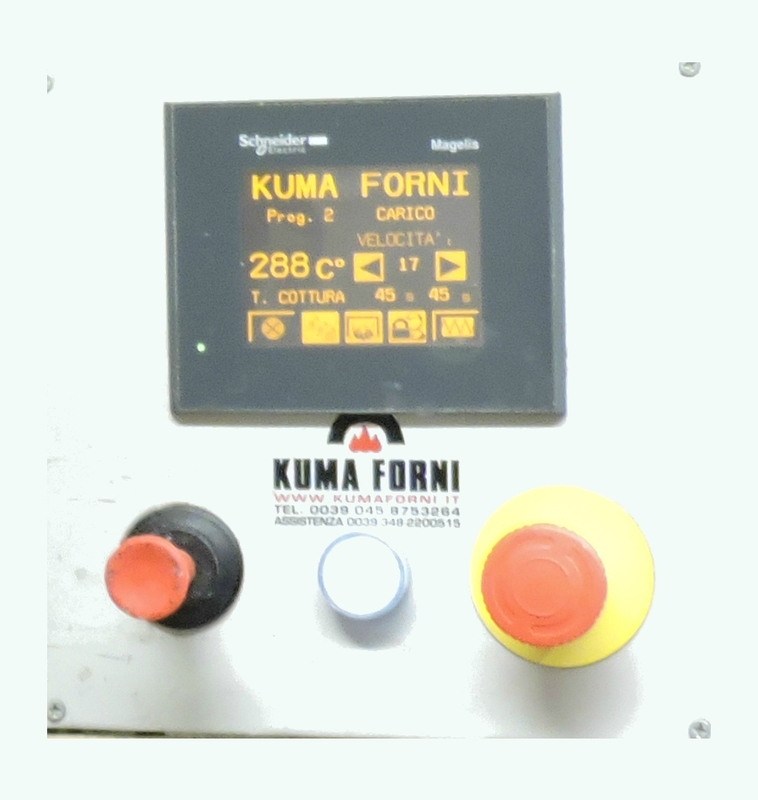 KUMA plus is a small size digital control panel which can be installed in very narrow work places. 3 selectable cooking programs (P1-P2-P3) with several cooking time and revolving speed settings that you can modify at any time during your oven operation.